Universities and third level institutions that embrace electronic payments enjoy higher turnaround in reimbursement expenses and supplier payments. Simple, cost effective and secure electronic payments backed by unrivalled service are just some of the reasons why Fexco Corporate Payments is the number one choice for the Education sector. Over reliance on paper leading to increased incidents of payment fraud. Late payments caused by lost cheques. Slow delivery of payments caused by timely, manual processes. Lack of transparency of bank charges and FX rates for international payments. We provide tailored solutions to the Education sector that result in a seamless payment process offering substantial time & cost savings. Fexco Corporate Payments assigns dedicated payment specialists to tailor transfer solutions for the Education sector. Universities rely on our expertise to make foreign currency payments for fees for visiting tutors, refunds for overseas students and procurement spending. Our solution can easily integrate into the accounts systems of third level institutions providing automatic line by line reconciliations directly to the relevant accounts packages. Payee authentication identifies invalid bank account data before payments are sent. Query management tools ensure a swift resolution of queries about payments that have been already submitted. Over 150 currencies with bank beating exchange rates and lower fees. Enhanced reporting of financials which aids budgeting and spend forecasting. First time delivery of payments with straight through processing rates of 99%. 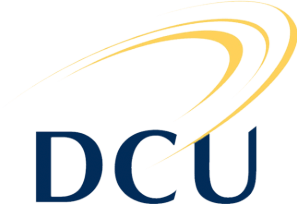 In the past DCU has faced challenges when transferring funds internationally. The university’s payments need to be delivered in a local currency at a competitive rate. The DCU Finance Office has to take into account traceability and on-time delivery when making international payments. Fexco delivers a payments solution that meets all of these requirements. The university’s impressive international connections and increasing global reach, generate a significant demand (both in terms of volume and value), for foreign currency payments. Examples include payments for imported goods and services, payments to visiting tutors, deposit refunds to returning overseas students, and procurement spending on everything from spectrometers to stationery. In these regards, NUIG’s Finance Division makes extensive use of the forex payments module developed by Fexco in partnership with Agresso – the renowned financial accounting software. Any issues with international payments are quickly dealt with by Fexco who put a trace on the payment and pursue a resolution in the shortest possible time frame. They work closely with our own payables team and are flexible when it comes to identifying the best way to make an international payment.